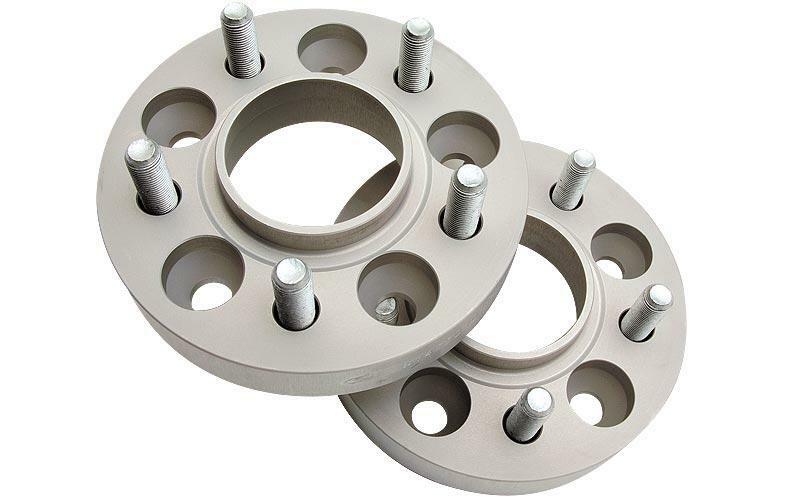 To give your car the final visual and performance touch, our engineers have created a complete line of Eibach Pro-Spacers. 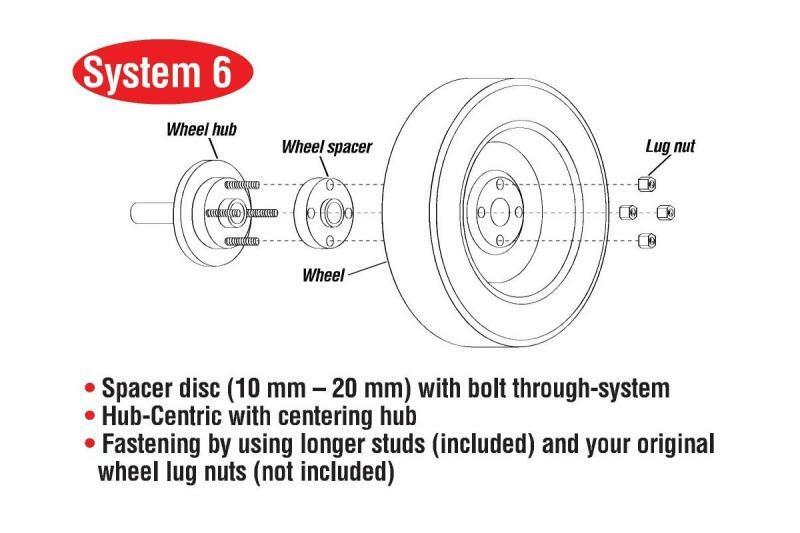 These are designed to give your vehicle a wider, more stable stance, quickly and easily. They are also a perfect match for the famous Eibach Pro-Kit or Sportline Lowering Spring Sets. 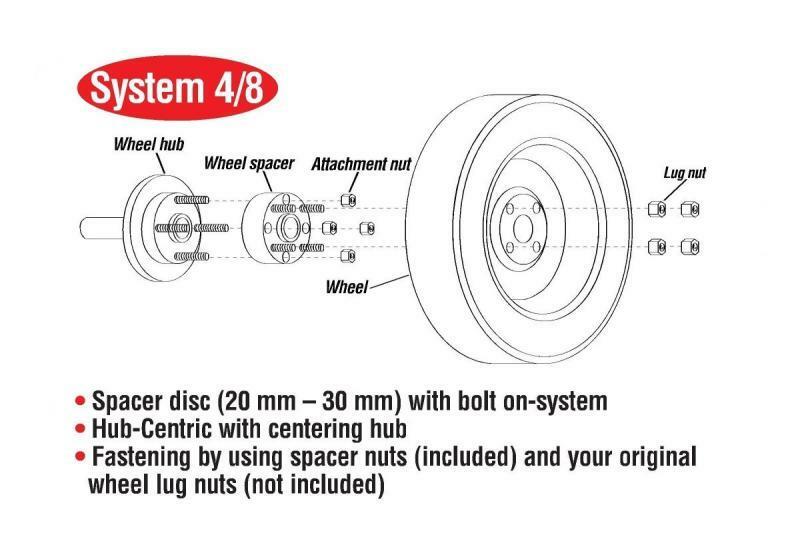 With the right Eibach Pro-Spacers installed, your car takes on a more aggressive look, with the wheels and tires—filling the wheel arches exactly the way they should. 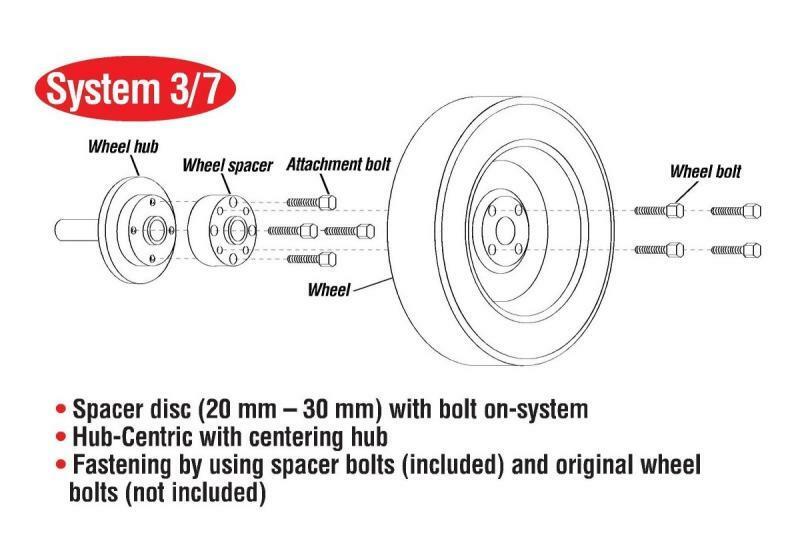 Fine-tuning your track width doesn’t just enhance your car’s looks it also gives you improved handling performance and optimized roll characteristics. 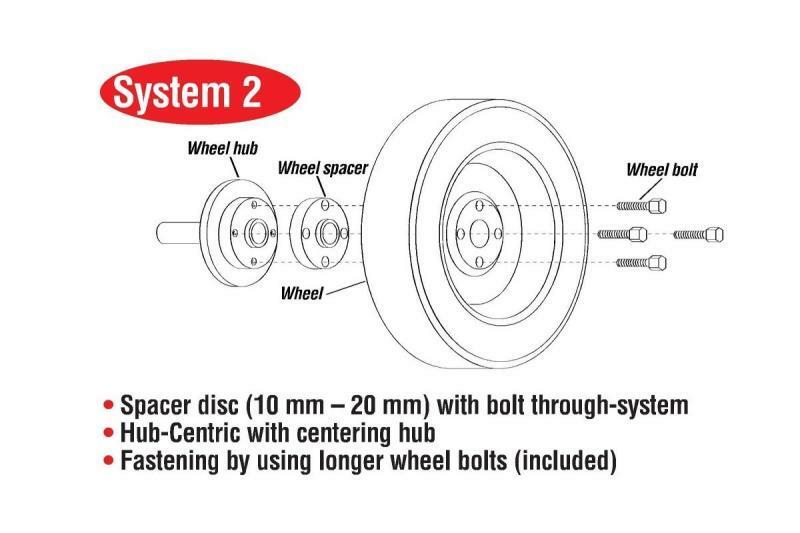 Pro-Spacers are available in a wide range of sizes, from 5mm all the way to 45mm, depending on the application, letting you position your tires exactly where they will look and perform their best. 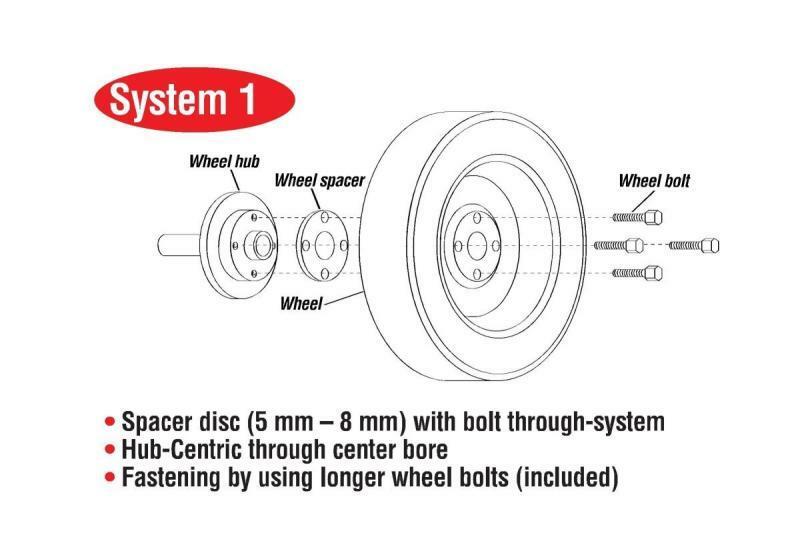 In many cases, installing the right Pro-Spacers can improve the look and function of your existing wheels and tires so much, you might not need to buy new custom wheels and tires at all. 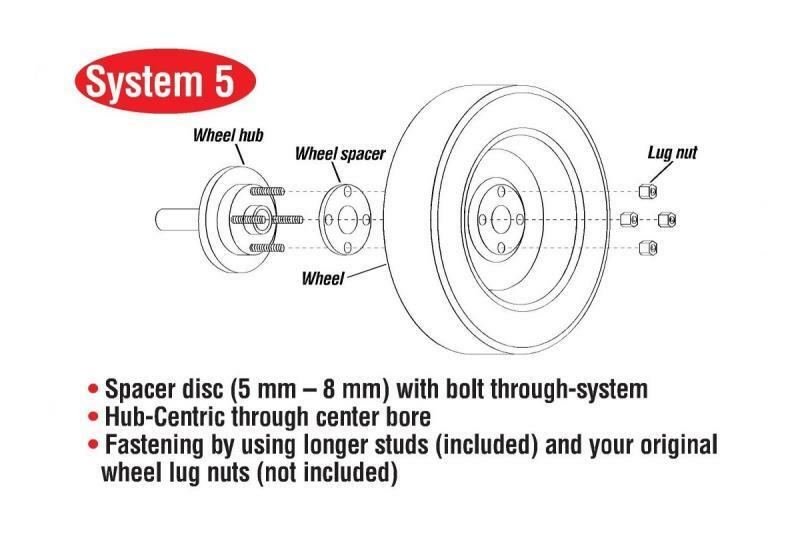 Please Note: All System 1 and 2 Pro-Spacer kits include longer wheel bolts for stock/OEM wheels.